By boosting the green profile of your Boston area home, you can feel good about doing what you can to save energy and help the environment. Adding energy-efficient features to your home, however, can also save you a significant amount of money each month on heating, cooling and utility costs. 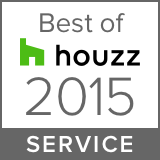 The right green home improvements can pay off almost immediately. Install high-efficiency HVAC systems – Modern high-efficiency heating and cooling systems provide outstanding home comfort at a significantly reduced cost. Look for high efficiency rating numbers. Heating equipment with an annual fuel utilization efficiency (AFUE) rating of 90 or more and cooling systems with a seasonal energy efficiency ratio (SEER) of 20 or more will be extremely efficient. Get new high-efficient kitchen appliances – Kitchen appliances typically use a significant amount of energy, so replacing them with newer high-efficiency models will reduce both energy consumption and ongoing costs. Look for appliances that carry the government’s Energy Star certification. Put in high-efficiency windows – Windows can be a significant source of energy loss in a home. One of the smartest green home improvements is to replace existing windows with high-efficiency models that have low-e coatings and insulated frames. Double-pane insulated windows are also highly efficient. Ensure proper sealing around window frames and casings. 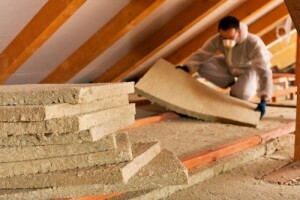 Add insulation – Insulation keeps heat inside your home during the winter and outside during the summer. Add more insulation in the walls, attic, ceiling, foundation, basement and floors of your home to dramatically improve home energy efficiency. A professional energy audit can help you identify exactly where more insulation is needed. For more information on green home improvements that can pay off with both improved energy efficiency and cost savings, contact Sage Builders LLC. We offer Boston area homeowners professional residential consulting services, including green services.